Google (s GOOG) has announced plans to start offering a compute-on-demand service that rivals Amazon’s (s AMZN) Elastic Compute (EC2) service. Google has offered many what it calls higher-level cloud services such Google storage, BigQuery and Google App Engine in the past, but now the company believes it needs to sell a more prosaic Infrastructure as a Service (IAAS) offering whose primary target is attracting more developers to Google’s cloud platform. The news of this new service was first reported by my colleague Derrick Harris in May and was confirmed later by me with additional details this past week. “The Google Compute Engine, we believe, has been the missing piece,” said, Urs Hölzle, Google’s senior vice president of technical infrastructure, during a broad conversation this week. He said that building an infrastructure-as-a-service isn’t a trivial task, as the demands on such a service are quite intensive. Google has been working on this new service for some time now, he added. At launch, we have worked with a number of partners — such as RightScale, Puppet Labs, OpsCode, Numerate, Cliqr and MapR — to integrate their products with Google Compute Engine. These partners offer management services that make it easy for you to move your applications to the cloud and between different cloud environments. A company spokeswoman said that anyone can “sign up today, but we will be accepting customers who are focusing on larger workloads. In some cases we would accept smaller workloads as well. ” During the early phase, Google will offer Google compute service only to the U.S.-based developers, but will eventually roll out the platform to customers globally. Hölzle said that the company was using Google’s current infrastructure stack to offer the on-demand compute service. When asked if he believed that Google was a tad late to the party, Hölzle pointed out that while there have been many existing players offering cloud infrastructure services, there is ample opportunity for Google as the shift to cloud is more cyclical and long term. “This really isn’t about stealing marketing share from other players,” he said. “It is very early in the market and, frankly, five years from now you will have a whole different kind of cloud and services.” He declined to outline what the cloud will look like in five years. Despite Google’s dismissal, one can’t help but notice Amazon’s looming shadow on Google. Amazon Web Services, thanks to being an aggressive and early believer in the cloud as we know it, has carved itself a nice niche and is rumored to be bringing in over a billion dollars in revenue. But it is not just revenue that has a whole industry jealous of Amazon’s cloud business. Success in cloud services has made Amazon attractive to startups and independent app developers, who are embracing Amazon’s stack of cloud services. These code-tinkerers are the kingmakers in this new world, especially now that Amazon has forked Android and has been pretty public about its grand mobile ambitions. The battle for developers and locking them into cloud and mobile platforms is literally the trillion-dollar question of the 21st century. Microsoft (s msft) Azure, Apple’s iCloud, Amazon Web Services and now Google Compute Engine are essentially trying to get their hooks into the developers. Frankly, I am surprised that Facebook (s fb) hasn’t announced its own efforts to do the same. Amazon, for now, is the king of the hill. At our Structure 2012 conference, when I asked Amazon CTO Werner Vogels about the next five years, he talked about a new layer of services emerging and Amazon being the trendsetter. It is a distinct advantage for the Seattle-based company that has angered its partners but has been focused on making sure it keeps pushing the envelope. He understands — and so does Google — that there is an opportunity to take away the dollars spent on IT dinosaurs such as Hewlett-Packard (s HPQ). These giants of the past should be waking up with a migraine, for the entry of Google makes life tougher for them. I wonder what this news does to smaller cloud players such as Rackspace (s rax) that have been inching their way toward Amazon’s heels. And whichever way you look at it, Google’s entry into the business is a good thing for the developers and startups. Its great to welcome Google to this horse race. Urs HÃ¶lzle is right about this being cyclical paradigm shift, not a fleeting fly-by-night shift. I’d love to see a live debate between Urs HÃ¶lzle, Microsoft’s Rolf Harms and Amazon’s Werner Vogels! The greatest news about all of this is that there is no monopoly! Ding dong the Wintel monopoly witch of the past is dead! Rejoice! Hurrah! My only beef with Google’s announcement today is that they are not making the debut of Compute Engine in such a way that is apt for startups, which is ironic given Google I/O is a developer conference. But in time its reasonable to expect decent developer support for companies of all sizes. The key to any of these big three vendors is to avoid “lock in”. Most people in the enterprise space today are not dumb or naive (unless they were born yesterday) so their will be very little tolerance for “Hotel California” like lock ins. Joyent is Â¢4 per hour for the larger instances compared with Â¢5.3 per hour at Google. And Joyent doesn’t have to nickel and dime customers with bandwidth charges. How can Joyent compete and win on price? Joyent has different technology that is better, faster and has a lower cost basis. By going with Linux based KVM with non-local “ephemeral” storage, Google has selected the wrong virtualization model. Telecoms like Telefonica are using Joyent’s technology to out-compete Google. The battle is going to get interesting. 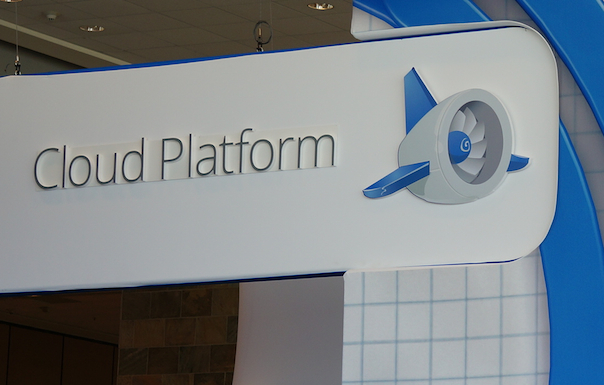 Just as Google Plus is still struggling against Facebook, Google Cloud Engine is not a guaranteed win in the IaaS space. That has broader implications for Google’s ability to capture the new generation of App developers build solutions stretch across phones, tables and the web. If those App developers are not using a Google Cloud, then they may not use Google payment engines, or Google advertising engines, even when part of their apps live on Android and iOS phones. Joyent’s plans are all in. Joyent doesn’t charge in piece meal for every put and get, every bit of traffic. Bandwidth is free… up to 10TB per month, which is a huge amount.